Set up in September 2009 as part of a chance discussion, it soon became obvious that there needed to be somewhere where we could disseminate the pile of frankly shocking information that was emerging about the goings on in the Limpley Stoke Valley. This website is it. The liveaboard boating community on the Kennet and Avon Canal is a legitimate community, the vast majority of whom move on, in compliance with the law, when we have spent 14 continous days in one place, unless circumstances entitle us to stay longer. However, we are a community that is being threatened with homelessness and dispersal; labelled ‘illegal’ and ‘unauthorised’ by CRT and some wealthy canalside residents, and accused of exploiting a loophole in the law and having a ‘free ride’. The reality is that we are lawful users of the waterways, and that boaters who pay extra for permanent moorings receive extra services and benefits in return. Parliament intended that the test for whether boats are complying with this requirement should be whether the boat has stayed for longer than 14 continuous days in one place without a longer stay being reasonable in the circumstances. Parliament specifically rejected any requirement for a ‘no return within’ period or a ‘progressive journey’. The standard boat licence entitles boaters to travel where they choose on CRT waterways. There is no legal mechanism whereby CRT can limit the number of boats that navigate in a particular area. The rights of boaters without home moorings are being eroded by a succession of increasingly draconian restrictions. We are expected to comply with ‘guidance’, ‘rules’ and ‘local mooring strategies’ that force us to travel in a way that is beyond what the law requires of us and which are at odds with what Parliament intended. This is enforced by threats to terminate our boat licences, which means our homes can be seized by the charity. We are subject to intensive surveillance of our homes to track our boat movements. This is a disproportionate effort and expense – our homes are only 10% of the boats. There is no legal recognition for our homes; we fall through nearly all the policy nets that exist to support other marginalised groups, and we do not have any of the rights that house dwellers enjoy. Before 1995, BW sought legislation that would compel every boat to have a mooring, with criminal penalties at the highest level for anyone caught living on their boat without a residential mooring and a houseboat certificate. Parliament considered that BW’s original proposals were draconian and excessive and so it was forced to agree to allowing boats to use the waterways without a permanent or “home” mooring. According to a boater who was closely involved with the passage of the Bill through Parliament, BW did nothing for a few years after 1995 and then started trying to find ways round it. Instead of using the test for compliance with the law that Parliament intended, CRT tracks the distance that boats without home moorings travel, and threatens to terminate our licences if we have travelled less than a certain distance. It does not tell us what the minimum distance is, or how far we have to travel to comply – because it would be unlawful to do so. This means that boaters are being forced to travel in a way that makes it difficult to get to work and for our children to go to school, which may put us in a position of being forced to choose between keeping our homes and staying in our jobs or sending our children to school. 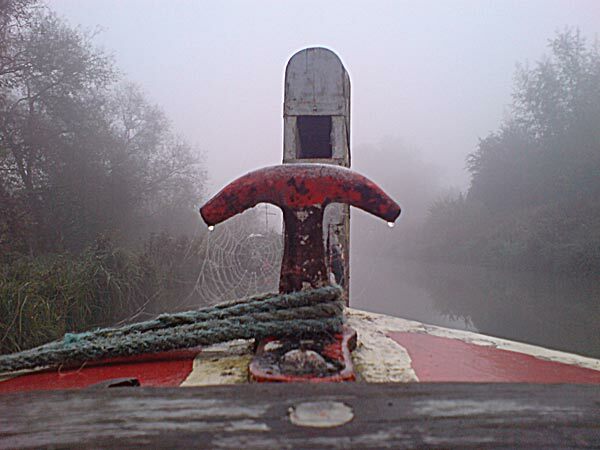 Minutes of Evidence of the Select Committees that scrutinised the British Waterways Bill between 1991 and 1994, available for public inspection in the Parliamentary Archives and in the House of Lords Select Committee Special Report on the British Waterways Bill (1991).